I certainly didn't but I am told it is built into the decisions that many online firms make about the age they will allow people to join. In the United States a law called Coppa (Children's Online Privacy Protection Act) gives extra online protection to children under 13, and Europe has had a similar policy - which is why the likes of Facebook have not allowed children in until they become teenagers. Now, though, the European Parliament's civil liberties and home affairs committee is considering a change which is opposed both by social media firms and many child protection experts. A last minute amendment to Europe's Data Protection Regulation, says this: "The processing of personal data of a child below the age of 16 years shall only be lawful if and to the extent that such consent is given or authorised by the holder of parental responsibility over the child." In other words, online firms that want to deal with anyone under 16 will have to make sure they get mum or dad's permission first. 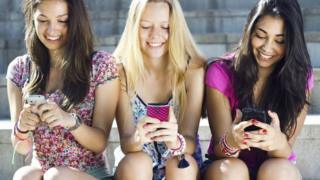 That according to several online safety experts, will make children more vulnerable not less. In an open letter to the committee they write that changing the age limit "would deprive young people of educational and social opportunities in a number of ways, yet would provide no more (and likely even less) protection." Others argue that social media has provided a vital lifeline for troubled teenagers, and the risk is that they will not feel able to go online in search of help. Now, there are plenty of children under 13 using Facebook and other social media sites, with and without parental consent, so it is worth asking whether raising the age limit will make a difference. But the social media companies and their lawyers certainly think it will make it much harder for responsible companies to police their sites. That is why a furious lobbying effort is going on to try to persuade European lawmakers, who meet today and vote on Thursday, to chuck out this amendment. What is missing from this debate so far is anyone making powerful arguments in favour of raising the digital age of consent. Time, perhaps, for those voices to be heard. I have now heard from one supporter of the higher age limit. Dr Rachel O'Connell from the consultancy Trust Elevate - which is developing age-verification tools - suggests that new technologies could be used by social networks to detect under-16s and limit what was done with their data without blocking access outright. "Social media firms could continue to offer access without processing under-16's personal data, ie gathering data, creating psychographic profiles of a young person and selling it to third parties, until they got permission from a parent and young person," Dr O'Connell said. "This would require companies to be transparent with both parents and young people about how their data will be processed."